Mezzanine Ladders are a Straight Tread Type Ladder used for access on to mezzanine floors and internal spaces above offices, tea rooms or storage rooms. 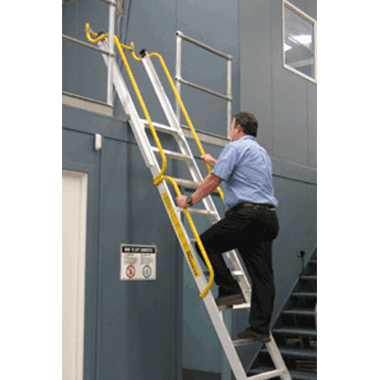 For over 20 years Little Jumbo Ladders has imported the famous WAKÜ Telescopic Ladders and the Little Jumbo Safety Steps from Germany and distributed them throughout Australia and New Zealand. 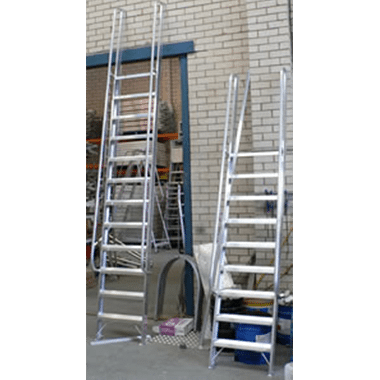 Ladders and the Little Jumbo Safety Steps from Germany and distributed them throughout Australia and New Zealand. 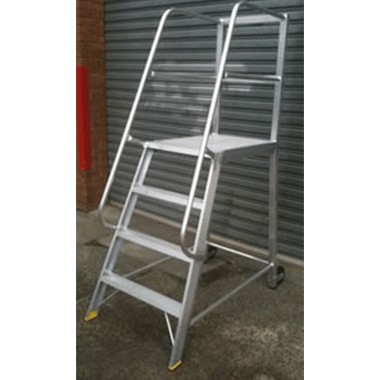 If you are looking for a Mobile Ladder with a Platform to access your Mezzanine floor (as well as being used for Picking Stock from shelves or racking), check out our Fully Welded Ladder Platforms which can be made to suit your required Height with Side or Rear Access Option. For Pricing and Availability please call and quote the Order Code.